The recent Penguin update has the SEO industry on their toes. SEO clients are in an uproar and SEO experts are scratching their heads on why their websites lost first page rankings and ended up on page twenty. 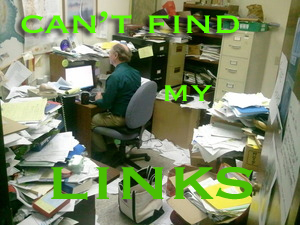 One thing is for sure is that the quality of links are being evaluated and many links are being devalued. There is no doubt that small businesses are being impacted the most by the Google Penguin update. Let’s begin with the links. www.Buildmyrank.com was a popular website for link building. You could purchase, literally, one hundred thousand links, and buy your way to the top of Google rankings. However, this route was unethical and unfair to the websites that actually brought value to their target market; in return, also brought value to Google as an information powerhouse. Instead, these innocent visitors were being brought to spam sites that were there only to take up space on the first page of Google, Bing, and Yahoo! It is like walking into a swamp filled with mud when you thought you were going to have a sweet smelling walk in the park. Everyone in the SEO world knew that placing their top keyword or keyword phrases on a webpage twenty times was Black Hat SEO. It didn’t sound good reading it and it wasn’t natural. Visitors would find the page and were sometimes confused on why these words were being mentioned so many times. “Over-optimization was just a whisper last year but Matt Cutts turned it into a roar this year, in 2012”. Keyword stuffing has been going on for years in the SEO industry. Website owners would place their keywords any where on a site that they had space to. It hurts our eyes to see it. The keyword density was also affected by this abuse that sneaky SEO specialists took part in. Now, those websites have been pushed from page one to page twenty-two where they belong. Recently, Google issued an unnatural link warning through Google Webmaster Tool to website owners. During the same time link buildings networks were wiped out from the Internet, after Penguin got a hold of them. It is common practice to conduct Spring Cleaning throughout your website, especially for small businesses. While most people in the Internet Marketing world are only reviewing their backlinks, you should review your website from top to bottom. Check your internal links to see whether or not they have pretty good anchor text link variations. Also, are any of the links within your webpages broken? Penguin made many websites with site-wide links in the footer pay. In 2102 it just looks too Spammy. If you paid for a link that had to be on your webpage where would you place it if you didn’t really want people to click on it? In the footer, right? Right! Most webmasters weren’t paying for links, and even though they were links to important pages, the footer links still has to go. Even the links pointing to your website from your clients website are being devalued. We all do it and seems to be innocent, however, the Penguin update doesn’t seem to be smiling at these types of links. The most common abuse of keywords in the anchored text links usually includes the city name along with the keyword, for example, SEO Fort Lauderdale. Buying links has been a way that companies with a big budget used to get higher rankings. Google may frown upon the transaction, but to be honest webmasters don’t care. Google combatted the issue and caught everyone by surprise. These websites were either blacklisted or pushed down by a few dozen pages. YouTube allows you to pay your way into their directory, however, you will need to have a quality website. With a price tag of $299.00 you can cross your fingers and hope that your website is accepted. By the way, the funds are non-refundable. However, if you do make it into their directory, you will have a high powered link pointing to your website. Most of the directories out there are spam sites that give you little to no benefit at all. You are better off using directories that are selective and have quality websites listed. Commenting on blogs will always be a great way to get traffic and links back to your website. However, posting a comment on a page that has 1,000 comments is not a good idea as far as SEO goes. How much link juice do you think that your 1 comment will get when that webpage has to spread out the one thousand others? The good news is that Google is giving an opportunity to fill out a reconsideration form if you feel as though your website was unfairly penalized. “One thing we believe should be made clear is that the Penguin update is designed to remove value from manipulative links not to improve the search engine result quality, “ Rand Fishkin. There are multiple ways get involved in web spam. The best approach to the Penguin fiasco is to evaluate your website’s links, content, and page structure. Please don’t pull your hair out and panic. Hopefully, this article will clarify some of the Penguin headaches for you.